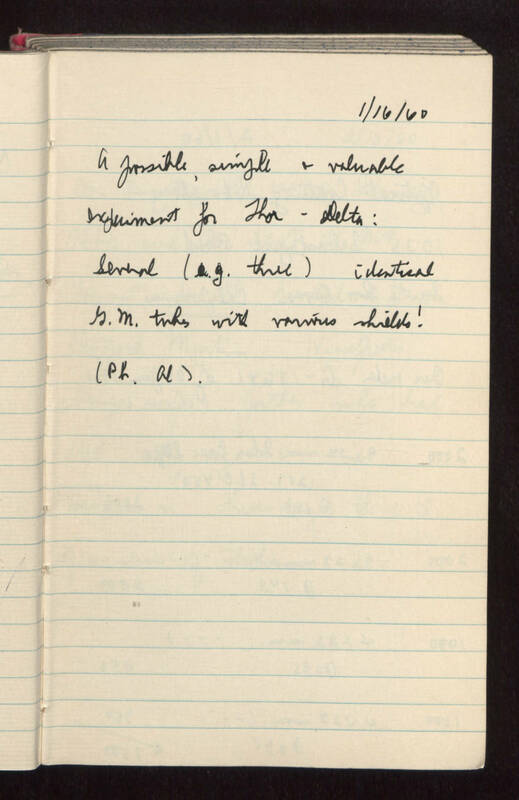 1/16/60 A possible, simple and valuable experiment for Thor-Delta: several (e.g., three) identical G.M. tubes with various shields! (Pb, Al).